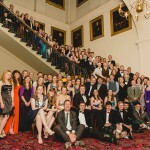 Auld Reekie Orienteering Society » Alumini Orienteering club for the best University Orienteering club in the world. Posted on June 7, 2012. Read Comments Off on New AROS year, new committee.